Order books for the 100% electric Nissan LEAF opened in Spain today, putting Spanish customers next in line in Europe to receive the award-winning car. At €29,950, after government incentives, the Nissan LEAF will cost about the same as a comparably-equipped diesel or hybrid vehicle. The price includes the battery which benefits from a five-year/100,000 km warranty. In order to make electric motoring even more accessible to individual customers in Spain, the compact family hatchback will also be available through a private finance scheme. 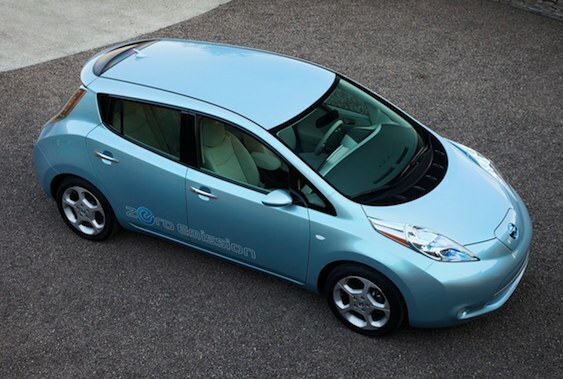 For example, with a deposit of €4,500, the Nissan LEAF will be available for less than 500€ per month for three years. After that period, the customer has the option of keeping the car by making a final payment of approximately €12,600, trading it in for a new one or handing it back to Nissan. "The 100% electric Nissan LEAF is the world's first mass produced electric vehicle by a major manufacturer and is the first electric C-segment car to be made available in Spain. The Nissan LEAF opens up a new era in mobility in our country and demonstrates Nissan's commitment to the environment and new technologies," said Manuel de la Guardia, Managing Director of Nissan Iberia, speaking at a news conference on the first press day of the Barcelona International Motor Show. 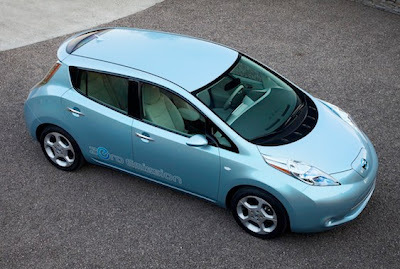 To make a reservation for the Nissan LEAF, Spanish customers simply need to go to the Nissan customer website - http://www.nissan.es/ - configure their vehicle and place an order. The quick and easy process requires a fully-refundable deposit of €300. Customers making reservations through the website will have priority on deliveries due to start this September. Nissan LEAF, which recently went on sale in Japan, the US and Europe, is the world's first affordable 100% electric family vehicle and the first EV to win the coveted European Car of the Year award, as well as the World Car of the Year. It has a range between charges of up to 175 km, as tested over the New European Driving Cycle (NEDC). Deliveries of the car have begun to the UK, the Netherlands, the Republic of Ireland and Portugal. Order books have also opened in Switzerland and France with customers in those markets expected to start receiving their cars shortly. The five-seater car is powered by an in-house developed compact electric motor and inverter in the front of the car which drives the front wheels. The AC motor develops 80 kW of power and 280 Nm of torque, enough for a maximum speed of 145 km/h. The zero-emission vehicle comes fully equipped with features such as air conditioning, satellite navigation, a parking camera, a quick charge socket and CARWINGS, an advanced on-board IT telematics system. Innovative connectivity will allow an owner to set charging functions to monitor the car's current state of charge and the remaining battery capacity, as well as to heat or cool the interior of the car remotely via smart phone or computer. Nissan LEAF offers particularly low running costs: about €1.9 per 100 km in Spain compared with about €7 for a similarly-equipped diesel family car. The car will be on display at Nissan's stand at the Barcelona International Motor Show alongside the Nissan ESFLOW, a 100% electric sports concept car. Visitors interested in experiencing the Nissan LEAF can sign up for a short test-drive of the car around the Fira Montjuic exhibition area where the show will take place. The Barcelona International Motor show is open to the public from May 14-22.